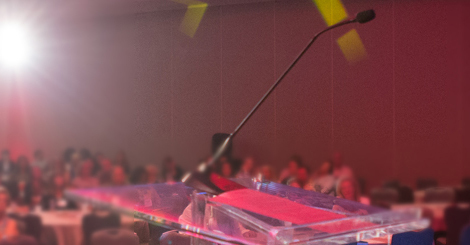 Nominate Your Peers to be Recognized for Their Service and Commitment to FSAE and the Association Industry. Every year at Annual Conference we acknowledge FSAE members who stand out for their exemplary service to FSAE and the association management community. Our Leadership Awards recognize an Executive of the Year, Associate of the Year, Rising Stars, Association of the Year and Supporting Associate Organization of the Year. 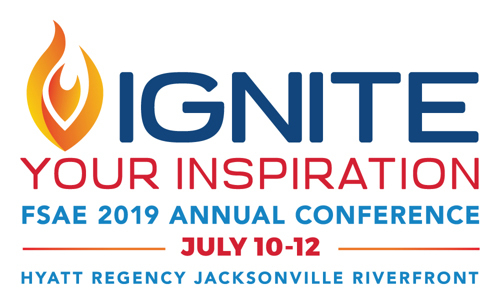 Make your plans now to attend FSAE19: Ignite Your Inspiration July 10-12 at the Hyatt Regency Jacksonville Riverfront! Hotel reservations are open now. Registration opens March 1. FSAE wants to ensure association executives are prepared to bring organizations into the next era through education that stimulates interactive discussions and audience engagement. We want attendees at all FSAE 2019 events to return to their associations with a fresh perspective, the ability to implement cultural change and the strategic capacity to deliver and act on new knowledge, no matter their level of association management experience. FSAE presented its most prestigious leadership awards at its recent Annual Conference held at the Fort Lauderdale Marriott Harbor Beach Resort & Spa. The Executive of the Year Award honors an association executive who has displayed the highest commitment to professional growth and dedication to advancing the association management profession. The Associate of the Year Award honors an association supplier whose dedication and leadership also advances the industry. FSAE’s Rising Star Award honors an association professional and/or supplier member who contribute significant time and talent to ensure FSAE’s continued success. FSAE also recognized organizations that support the association industry and local communities. Our Association of the Year and Supporting Associate Organization of the Year awards honor organizations that demonstrate outstanding efforts, excellence and innovation. Support the local community by donating your new or gently used book(s) for all ages to the Friends of the Fort Lauderdale Libraries! Books will be distributed to library branches throughout Broward County in most need of reading materials. We are collecting books for all ages - children and adult, and welcome all types of books to promote the joy of reading. Bring your donation to the Feed the Mind Bookshelf in the Auction room, the Caribbean Ballroom of the Fort Lauderdale Marriott Harbor Beach Resort & Spa. Cash/checks for Friends of the Fort Lauderdale Libraries will also be accepted onsite. "The only thing that is constant is Change." The FSAE Foundation’s BIG Tickets are your chance to win a spectacular vacation package from our participating donors! Ticket purchases are available for a suggested donation of $25 now through Annual Conference. The BIG Ticket drawing will take place during the Closing Session on Friday, July 13 and you don’t have to be present to win! What better way to book business at your property or location than to show it off to prospective buyers? Hosting an FSAE Annual Conference allows you to do just that!